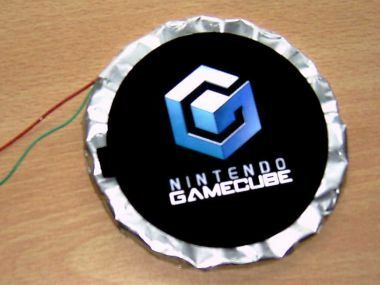 Casefans - The first things I modded to my Gamecube where the fans. The sound of the original small one annoyed me so I looked for a solution. I replaced it with two 80mm ones that each run at a peaceful 6V. 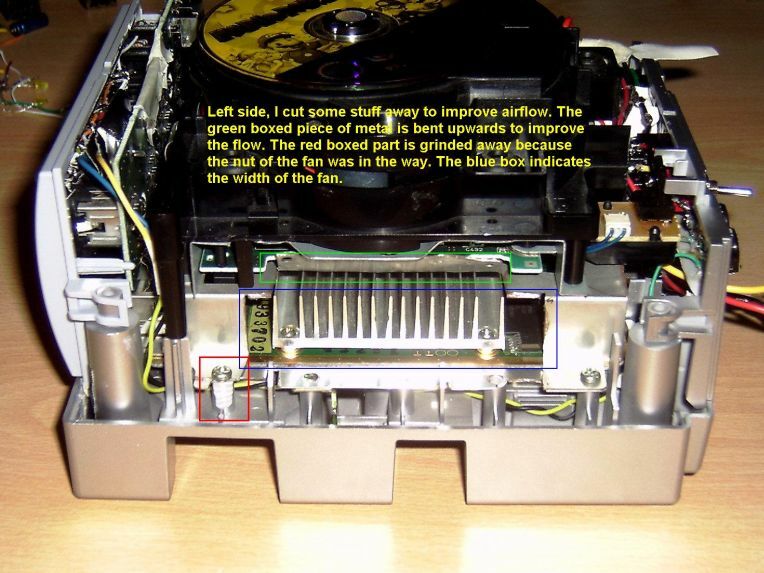 On the right picture you can see the original fan and also and also an extra slim Zalman OP1 fan. 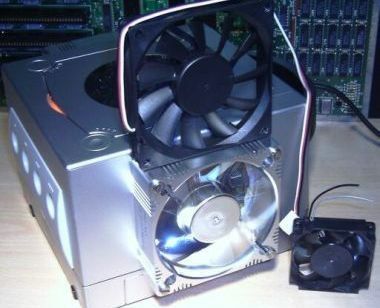 If I would have had a black cube I would have used that fan. 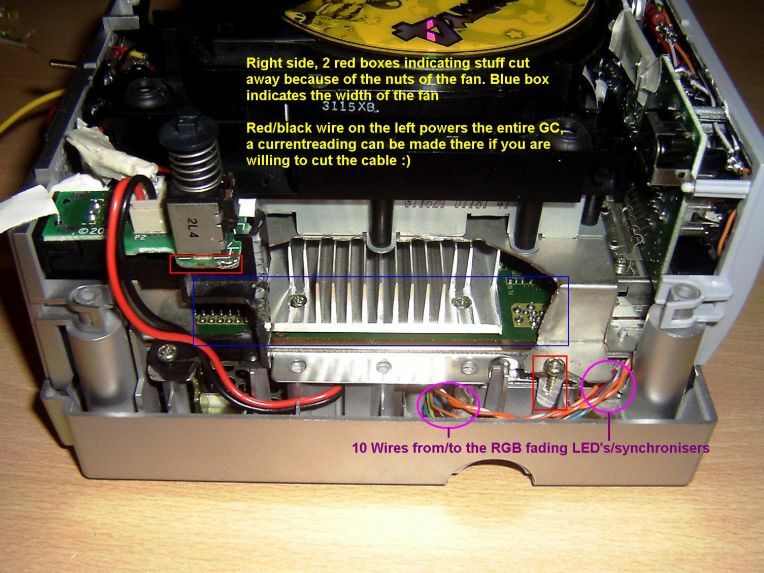 See through jewel - After the fans I started modding the jewel. I took out the original one and painstakingly polished the acrylic disc with toothpaste to make it clear. 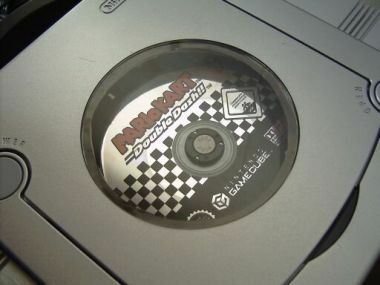 Then I cut a hole in the lid and I made a small ring of cardboard on which the disc could rest. The result was a see through jewel. 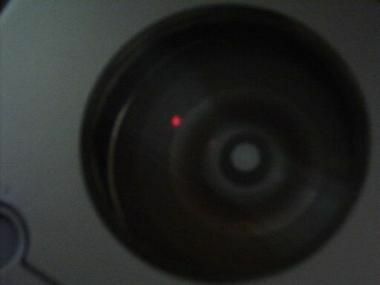 It's fun to be able to see the laser shining through the game disc, all the way to the roof. LED light disc - Before I found out where to get white CCFL rings, I used LEDs to illuminate the disc. The results where good, but it was a lot of work to make. As usual I learned a lot of it. 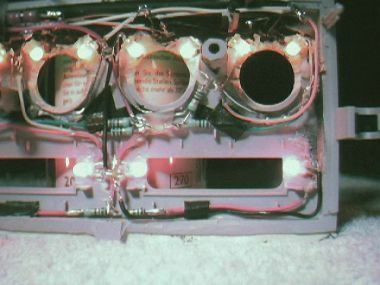 Behind the buttons - Each of the three buttons has four LEDs that illuminates it. 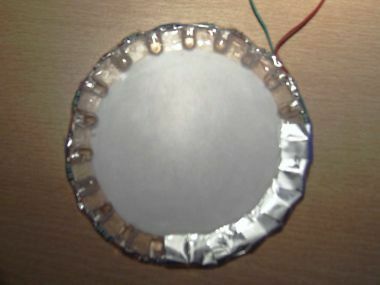 These are bright LEDs and those usually come with clear lenses. 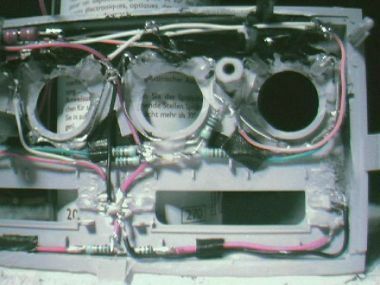 Luckily it only takes a piece of sandpaper to diffuse the lenses, which makes the light spread more evenly. Backside of the front panel - Wiring 22 LEDs with resistors and still making it fit... yes it's hard. Inside shots - I finish with these interior shots. 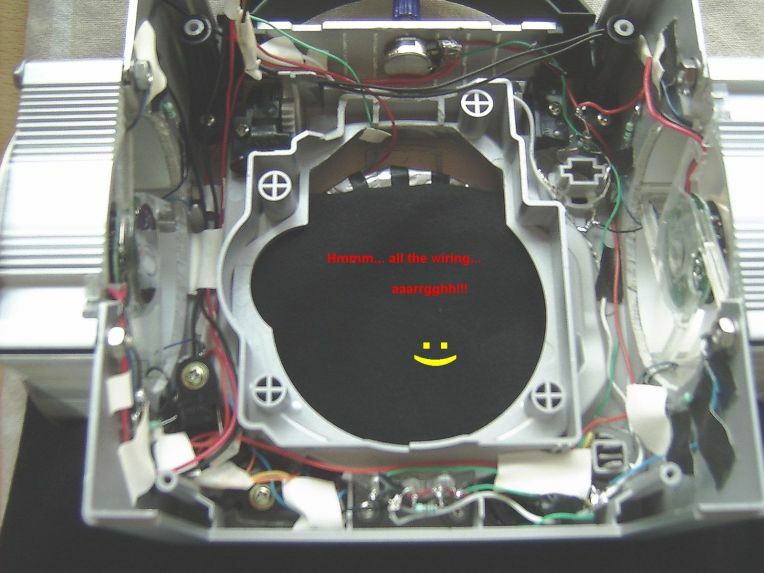 The biggest challenge was to make everything fit and work. 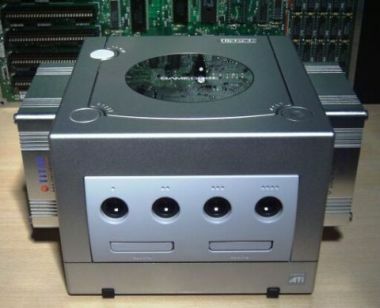 The Gamecube is a small and compact device. Apparently I somehow found a way to place the LEDs and wire them up. I know it doesn't look very neet on the inside, but who cares?